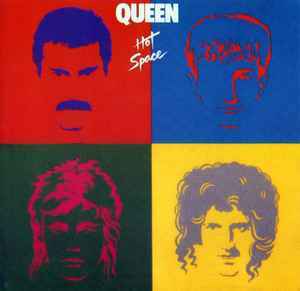 Queen Music Ltd. (BMI) except track 11 Queen Music Ltd. / Bewlay Bros. Inc. / Fleur Music administered by Screen Gems - EMI Music Inc. (BMI). ©&ⓟ 1982 and 1991 Original Sound Recordings for Queen Productions Ltd. except track 11 ⓟ 1981 and 1991 Original Sound Recordings for Queen Productions Ltd. Under Exclusive licence to Hollywood Records. Manufactured and Marketed by Hollywood Records. Printed in the USA.